What is the best book you’ve read in the last month? What is the worst book you’ve read in the last month? Word Nerd Teen is reading that right now! <3 Starters! It's definitely one of my favorites, especially out of the 2012 Debuts! 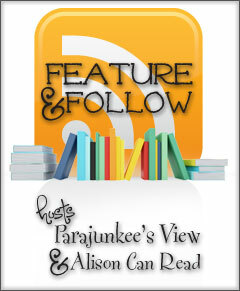 Found your blog through Parajunkie’s blog hop and just started following via feedburner – looking forward to reading more of your posts! I have been intrigued by the premise of Starters. I’ll have to add it my list! Hi. I’ve seen Starters everywhere this week. I guess that’s a good sign. I’m following you via twitter.